Visible and Infrared satellite imagery taken from radiometer instruments on SMS (ATS) and GOES satellites in geostationary orbit. 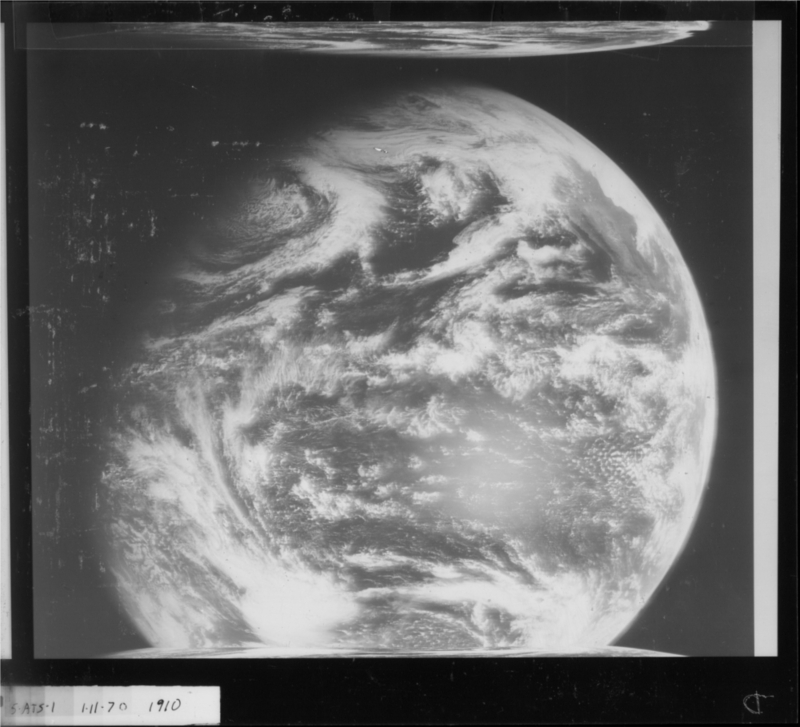 These satellites produced "full-disk" images, centered over the equator at their longitudinal orbit. Also included are sector images, zoomed images of a portion of the full-disk. Image files are created by scanning hard-copy prints, 10"x10" negatives and microfilm held in the NOAA archives. Period of record for available imagery is May 1974-December 1989. NCEI home page with information, data access, and customer support contacts. Cite this dataset when used as a source., Distribution liability: NOAA and NCEI make no warranty, expressed or implied, regarding these data, nor does the fact of distribution constitute such a warranty. NOAA and NCEI cannot assume liability for any damages caused by any errors or omissions in these data. If appropriate, NCEI can only certify that the data it distributes are an authentic copy of the records that were accepted for inclusion in the NCEI archives., Use liability: NOAA and NCEI cannot provide any warranty as to the accuracy, reliability, or completeness of furnished data. Users assume responsibility to determine the usability of these data. The user is responsible for the results of any application of this data for other than its intended purpose.